Fashion and Elegant Living came here in 1907 when Neiman Marcus opened in downtown Dallas and J.S. Armstrong opened his exclusive Highland Park shopping development. Oil Discovery when C.M. "Dad" Joiner struck oil in 1930, 100 miles east of the city, Dallas became a center of oil-related activity, setting the stage for the region's role as the financial and technical center for the drilling industry and commerce. Turmoil and Success the 1960s were a time of turmoil for many American cities and the lowest point in Dallas history when on Nov. 22, 1963 President John F. Kennedy was assassinated on a downtown street. The event cast the city. 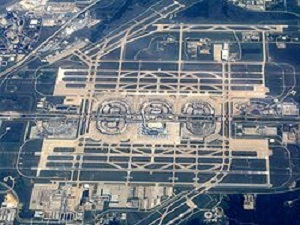 The people of Dallas took it hard and entered a period of self-evaluation and introspection which lead to a series of entrepreneurial success stories culminating in DFW International Airport, realizing John Neely Bryan's dream of a major inland port. 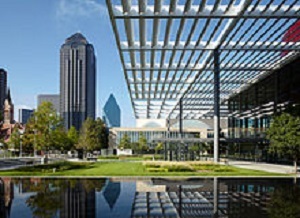 Since the 1980s Dallas has become home to many major corporate headquarters and a dominant force in the convention, meetings and tourism industry. 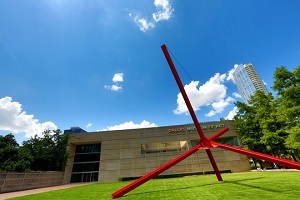 Anchored by the Dallas Arts District, the city is home to many cultural venues and activities. African American Museum located in Fair Park, it showcases the rich heritage of African American art and history housed in four vaulted galleries and a research library. Experience African American culture through educational programs at the educational plaza’s theater. Dallas Heritage Village a history museum that depicts life in Dallas from 1840 – 1910. Visit the country church, the saloon, the rustic school house, and many houses where interpreters greet you and tell you more about ole life in Texas. Dallas Holocaust Museum established in 1984 by survivors who wished to preserve the memory of what they endured, it features stories by volunteer survivors, special lectures from World War II veterans and those who experienced of the genocide first-hand. 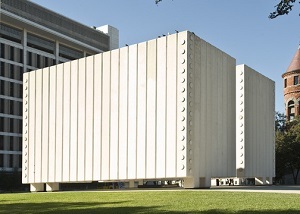 The Dallas Museum of Art established in 1903, the museum has an encyclopedic collection of more than 23,000 works spanning 5,000 years of history. The collections focus on the art of the ancient Americas, Africa, Indonesia, South Asia and Europe, as well as American painting, sculpture and decorative arts. American and international contemporary art is also on display. The George W. Bush Presidential Library and Museum serves as a resource for the study of life and career of President Bush, while also promoting a better understanding of his presidency, American history, and important public policy issues. 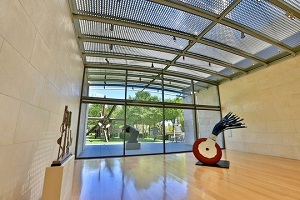 The Nasher Sculpture Center is a longtime dream of Raymond Nasher and his late wife Patsy, who together amassed one of the finest collections of modern and contemporary sculpture in the world. The Center was designed by Renzo Piano; Landscape architect Peter Walker designed the outdoor garden. The Old Red Museum inspires and educates visitors about the rich and varied cultural, economic, political, and social history of the Dallas County Area and its heritage with exhibits featuring elements that range from fossils and war weapons to sports. The Perot Museum of Nature and Science is home to 11 permanent exhibit halls and various traveling exhibitions throughout the year. The museum delivers hours of fun for children, adults, and life-long learners alike. 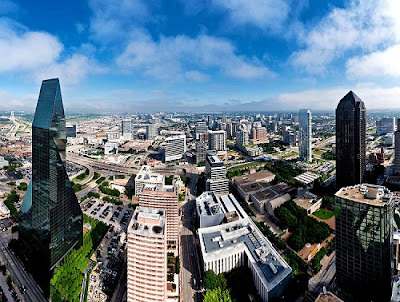 Catch a view of downtown Dallas from the glass-encased elevator. The Sixth Floor Museum located on the sixth and seventh floors of an early 20th century warehouse formerly known as the Texas School Book Depository, chronicles the life, death, and legacy of President John F. Kennedy. The permanent exhibit features films, photos, and artifacts. Dallas is among the top purchasers of green energy in the nation and is the first American city to be ISO 14001 certified, the international environmental standard which sets environmental goals for organizations and communities. Dallas is among the first cities to adopt a green building program and now boasts 5 LEED Gold, 1 LEED-EB Silver and 2 certified buildings. 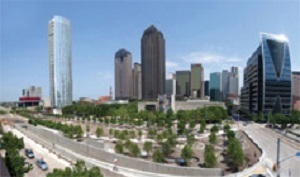 New projects in the city include pedestrian-friendly parks such as Main Street Garden, Belo Garden and the Klyde Warren Park. Dallas is home to the Trinity River Audubon Center, a LEED certified building with several sustainable building features: a vegetated roof, rainwater collection system, energy efficient systems and recycled materials. The Perot Museum of Nature and Science in Victory Park is the nation’s largest and most successful brownfield project that utilizes biodegradable and reusable materials, solar panels, rainwater collection and sustainable products. Green Initiatives the Dallas Bikeway System allows for the implementation of a 1,296-mile network incorporating new and existing pathways for citizens that prefer alternate forms of transportation. 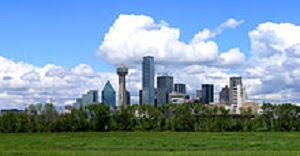 City Forestry programs promote tree planting projects and cultivate foresters with basic knowledge of tree skills to act as advocates for Dallas’ urban forests. Through the use of e-cycling programs, consumers have access to free and convenient recycling options for computer, television and electronic equipment. Hotels & Meeting Spaces several Dallas properties are LEED Certified and have incorporated green elements, such as energy conservation, recycling, sheet-changing programs and environmentally conscious towel hangers. The Kay Bailey Hutchison Convention Center has become one of the greenest facilities in the nation due to a determined effort to reduce energy consumption, install solar panels, practice water conservation and gain Leadership in Energy and Environmental Design (LEED) certification. The Dallas Convention & Visitors Bureau also promotes a grass-roots industry initiative that seeks to affect positive environmental practices through national, regional and local outreach and education.